Indian Natural Fancy Color Diamond & Jewellery manufacturer of india Pink Diamond Blue Diamond Black Diamond Yellow Diamond White Diamond Gray Diamond Milky Diamonds natural canary yellow diamond hongkong diamond manufacturer hongkong diamond supplier hongkong diamond exporter new york diamond manufacturer - Special WHITE diamond & COLOR diamonds offersBest diamond price CERTIFIED & none certified diamondsWe offering Manufacturing diamond pricing of white & rare fancy Pink color diamondsWE ARE BEST FOR Fancy Color Diamond Investor Here is Our Natural Fancy color diamonds & Australian pink diamonds parcel's collection online loose white diamonds & Fancy Color Diamonds parcel's, calibrated fancy colored diamonds & We have largest collection of natural fancy color diamonds gallery for you. As stones are sold they replaced and new stones are added frequently weekly. Please feel free you can selection your choice diamonds from here and if you are looking something particular choice of the diamonds pls. write us with details we will do our best diamond for you. We are not taking very high prices of our natural color diamonds; we are selling our natural color diamonds & Australian pink diamonds at best possible prices. 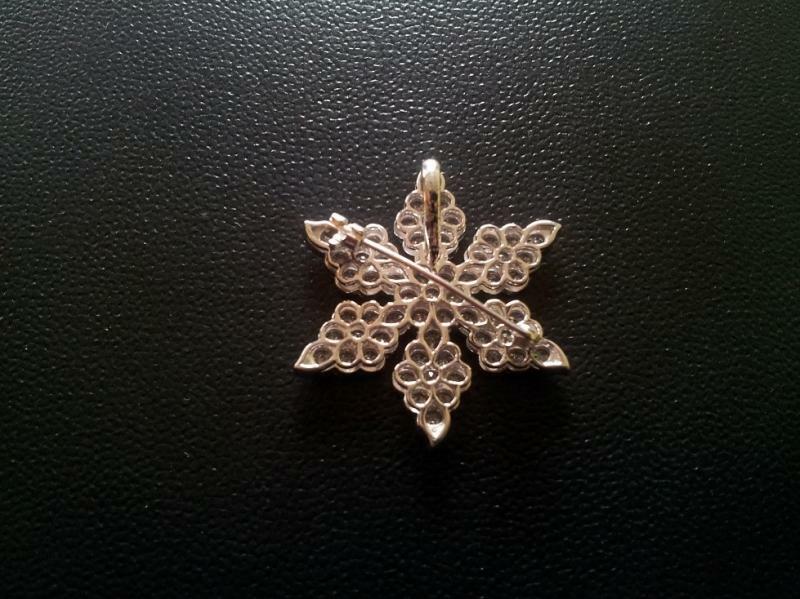 Please have a look here our various color diamonds parcel's below end this page. We have a largest collection of Natural Australian Melee Pink Diamonds for wedding ring. Now Latest Offer for Beautiful Collection of Natural color diamonds. 5.00 CTW Lot, Natural Australian Pink Fancy INTENSE Pink Diamonds, 0.01 to 0.03ct, Round Brilliance, SI1 Clarity, Diamond Cutting Polishing Very Good, please email for price. Image Available. 8.00 CTW Lot Natural Australian VIVID Pink Diamond & Light Blue diamonds’, 0.02 to 0.4ct, Round Brilliance, Clarity SI1, Diamond Cutting Polishing very good, please email for whole parcel price or count diamonds quantity price. 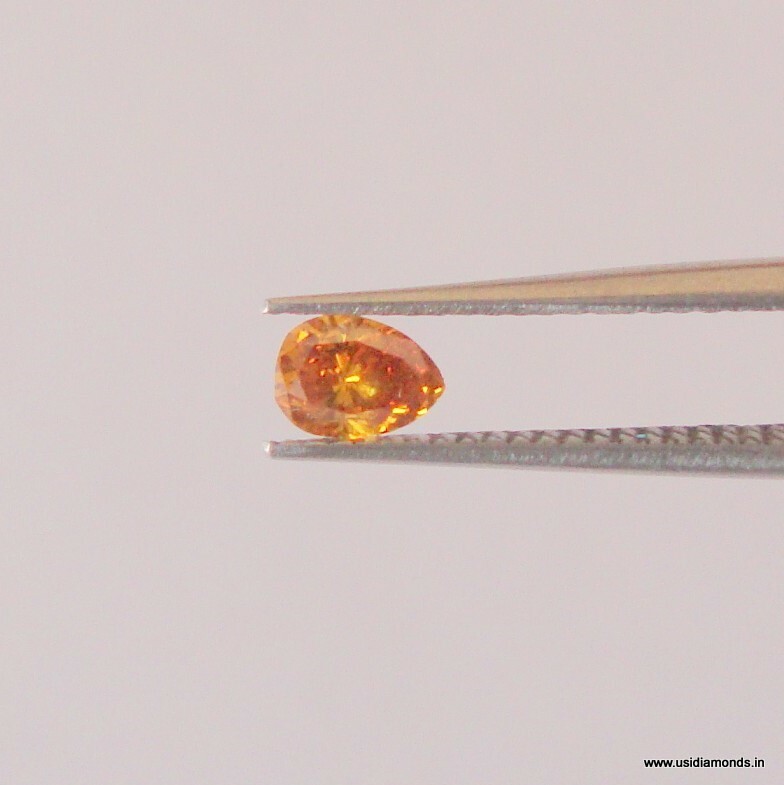 Image Available 0.26 ct, Natural Fancy Reddish Color Diamond is rare indeed Red Diamonds Round Diamond Clarity SI, Red Diamond this is a rarest red diamond for choice fancy color diamonds collectors. Please email for price this red diamond. 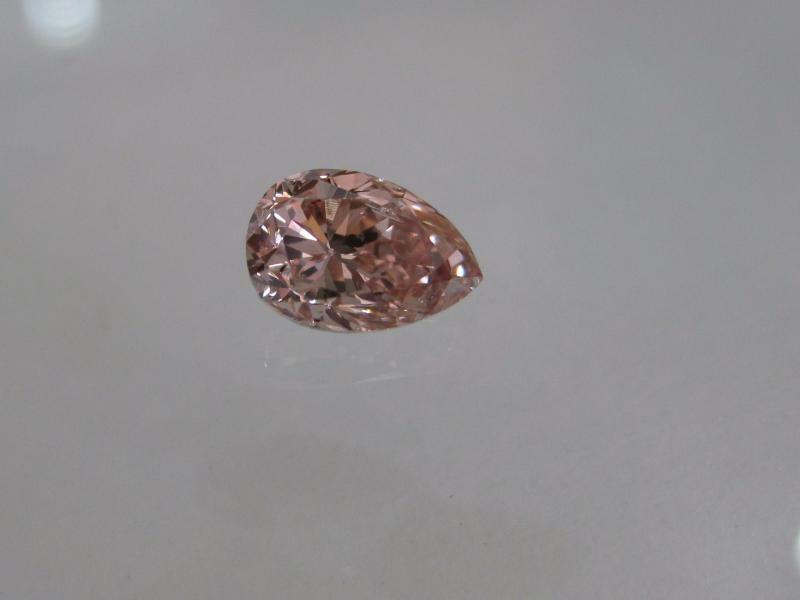 Image Available 0.60 CT NATURLA FANCY PINK DIAMOND ROUND CUT, CLARITY VS, CUTTING POLISH EX, PLEASE EMAIL FOR PRICE. Image Available 18 CTW LOT, Natural Australian Intense Pink Diamonds, Size 0.01 to 0.02ct, Round Brilliance, Diamond Cutting Polishing Very good, please email for whole parcel price also can choose count diamonds from parcel. Image available. 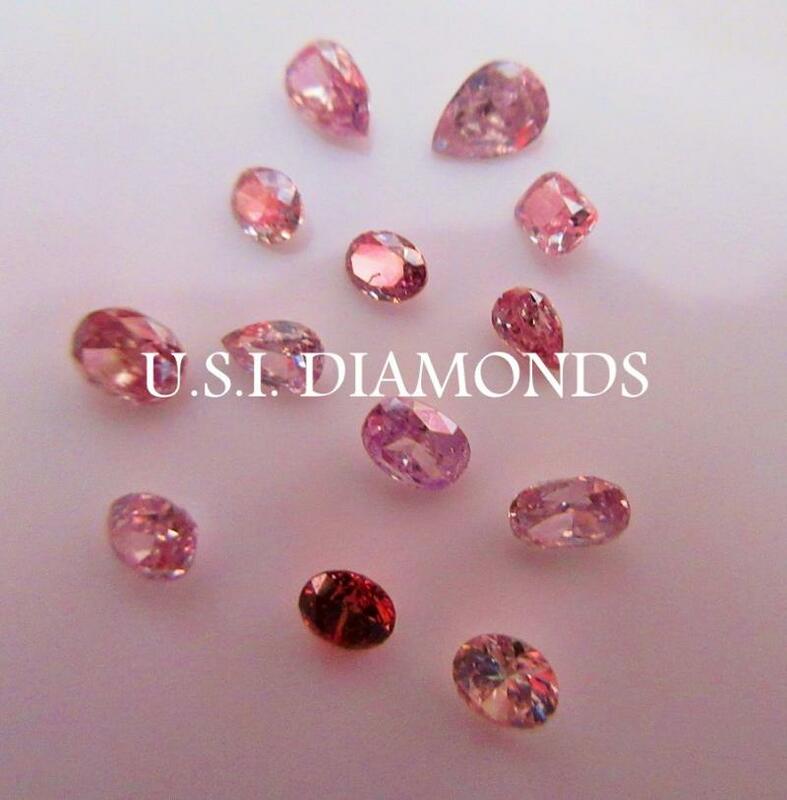 1.15 CTW Parcel Natural Australian VIVID PINK Diamonds, Size 1mm, Round Brilliance, Diamond Cutting polishing well, Please email for price whole parcel and count diamonds. Image Available. 11 CTW LOT, Natural Australian Light Pink Diamonds, Size -2 sieves, Round Brilliance, Diamond Cutting Polishing Very good, whole parcel price per carat $850/ct also can choose quantity from the parcel as per your choice. Image Available. 4.00 CTW LOT, Natural Australian Fancy Intense Pink Diamonds & Vivid Pink Diamonds, Size 0.02 to 0.07ct, Round Brilliance, Diamond Clarity SI1, Diamond Cutting Polishing Very Good, Please email for whole parcel price or can choose your quantity. Picture Available. 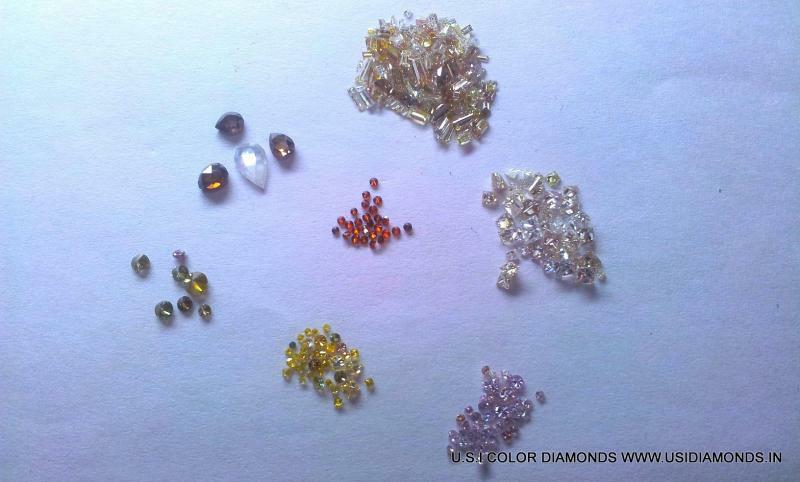 Natural Multi Fancy Color diamond parcel (Pink, Yellow, Orange & Green) Size 2mm & 3mm, Total 7.00ct lot, Please email for price. Natural Fancy Purple Pink Diamonds, 0.03 to 0.05ct, SI1 Clarity, Fancy Shapes, Total weight 1.00 carat, Please email for price. Natural Fancy Near Intense Pink Diamonds, 14 carats lots, SI Clarity, round brilliant, Please email for wholesale parcel price. Here is Our Natural Fancy color diamonds & Australian pink diamonds parcel's collection online loose white diamonds & Fancy Color Diamonds parcel's, calibrated fancy colored diamonds & We have largest collection of natural fancy color diamonds gallery for you. As stones are sold they replaced and new stones are added frequently weekly. Please feel free you can selection your choice diamonds from here and if you are looking something particular choice of the diamonds pls. write us with details we will do our best diamond for you. We are not taking very high prices of our natural color diamonds; we are selling our natural color diamonds & Australian pink diamonds at best possible prices. 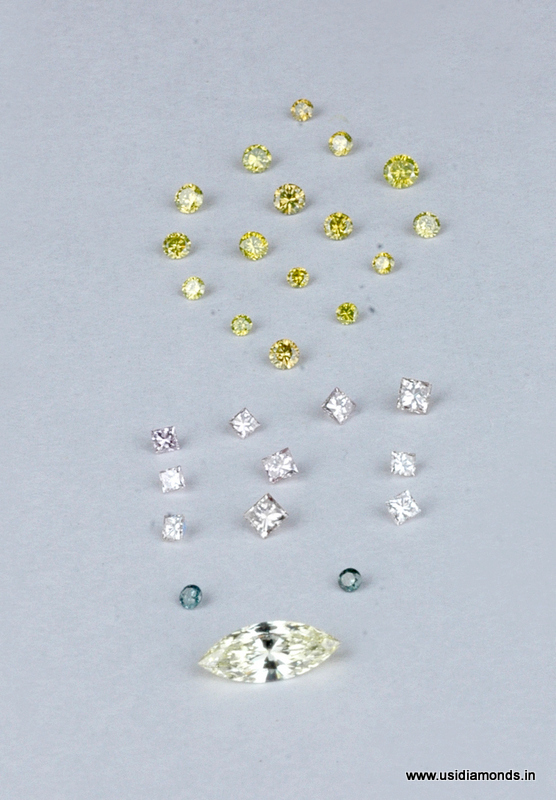 Please have a look here our various color diamonds parcel's below end this page. 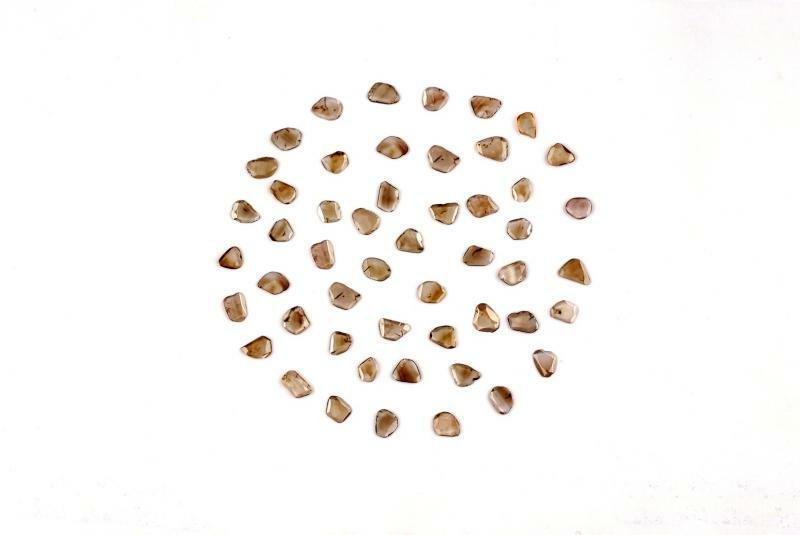 We have a largest collection of Natural Australian Melee Pink Diamonds for wedding ring. Now Latest Offer for Beautiful Collection of Natural color diamonds. 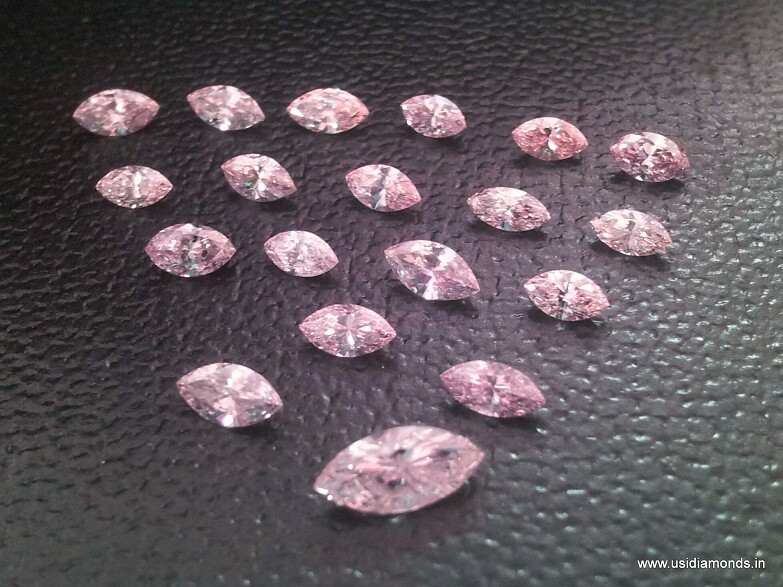 5.00 CTW Lot, Natural Australian Pink Fancy INTENSE Pink Diamonds, 0.01 to 0.03ct, Round Brilliance, SI1 Clarity, Diamond Cutting Polishing Very Good, please email for price. Image Available. 18 CTW LOT, Natural Australian Intense Pink Diamonds, Size 0.01 to 0.02ct, Round Brilliance, Diamond Cutting Polishing Very good, please email for whole parcel price also can choose count diamonds from parcel. Image available. 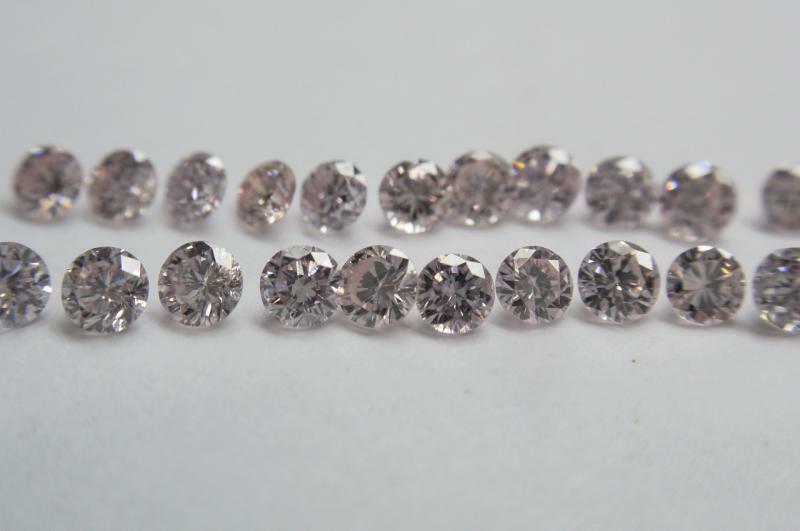 1.15 CTW Parcel Natural Australian VIVID PINK Diamonds, Size 1mm, Round Brilliance, Diamond Cutting polishing well, Please email for price whole parcel and count diamonds. Image Available. 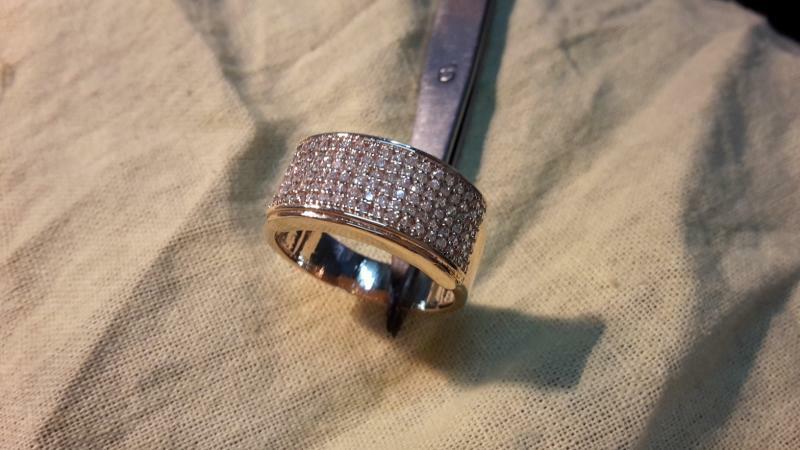 11 CTW LOT, Natural Australian Light Pink Diamonds, Size -2 sieves, Round Brilliance, Diamond Cutting Polishing Very good, whole parcel price per carat $850/ct also can choose quantity from the parcel as per your choice. Image Available. 4.00 CTW LOT, Natural Australian Fancy Intense Pink Diamonds & Vivid Pink Diamonds, Size 0.02 to 0.07ct, Round Brilliance, Diamond Clarity SI1, Diamond Cutting Polishing Very Good, Please email for whole parcel price or can choose your quantity. Picture Available. 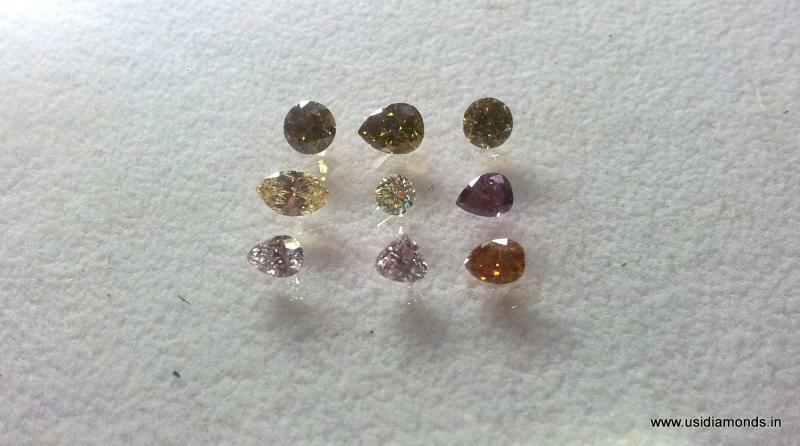 Natural Multi Fancy Color diamond parcel (Pink, Yellow, Orange & Green) Size 2mm & 3mm, Total 7.00ct lot, Please email for price. Natural Fancy Purple Pink Diamonds, 0.03 to 0.05ct, SI1 Clarity, Fancy Shapes, Total weight 1.00 carat, Please email for price. Natural Fancy Near Intense Pink Diamonds, 14 carats lots, SI Clarity, round brilliant, Please email for wholesale parcel price. 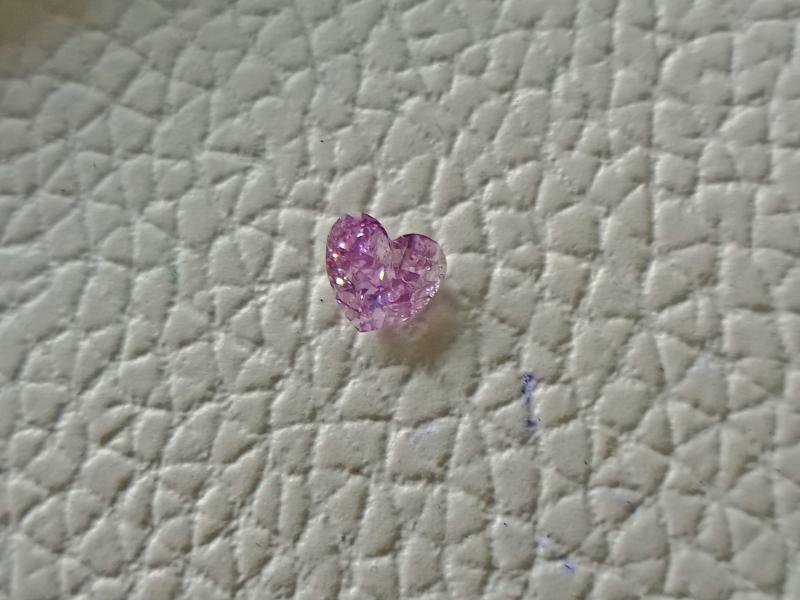 0.20Ct, Natural Fancy Vivid Purple Pink Diamond, Heart Shape, Please email for price. 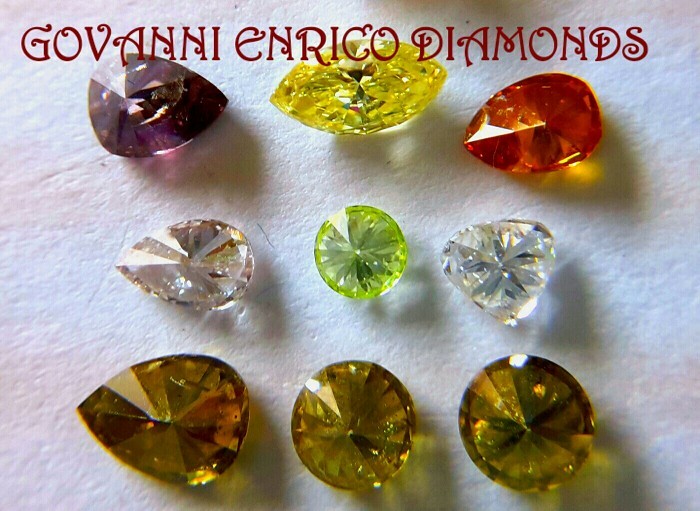 Our natural fancy color diamonds, All nice colors Pink, Yellow, Green, Orange, Purple Diamonds, SI Clarity, Sizes 0.10 to 0.40ct, Fancy Shape, Please email for enquiry. Natural Fancy Intense Pink Diamonds, Size from 0.06-0.12carat, Clarity SI1, Fancy & Round Shape, 13 Stones weight 1.25carat, Please email for enquiry. 6.5MM, White Colorless Dom Rose Cut Diamond, Clarity VS1, Color G+, Cutting Polishing EX, Please e-mail for price. Natural Multi Fancy color diamonds, Fancy Shapes, please have a look colors, if you can use any one, please ask details by email. 8.245carat Grey Salt Diamond Round Brilliant Cut Please email for price. Natural Fancy Pink Color Diamonds are rare indeed the most beautiful Natural with rare Mix of Important Fancy Colors Diamonds Natural Australian Argyle Fancy Intense Pink diamonds, Vivid Blue Diamond, Orange Diamonds & Dark Yellow 24 stones weight 2.45carat, Clarity SI1, Fancy Cut's at reasonable price Please email for whole parcel price and can choose your choice color diamond. Natural Fancy Orange Diamond 2.00ct A beautiful color diamond of Orange Diamond in a wonderful Heart Shape diamond, Weight 2.00ct, Clarity SI1, Please email for price. A Beautiful Natural Intense colored diamonds parcel Natural color with rare Mix of Important Colors Natural Fancy Intense Color diamonds lot, Clarity SI1, ( Strong vivid characteristic Red Diamond ( 0.26Ct ), Natural Strong Pink & INTENSE Pink Diamonds, Include Strong Orange Diamonds, Yellow & Strong Red Diamonds size 0.26ct, Total Lot weight 11CTW, Size from 0.03 to 0.26ct, Please email for enquiry. 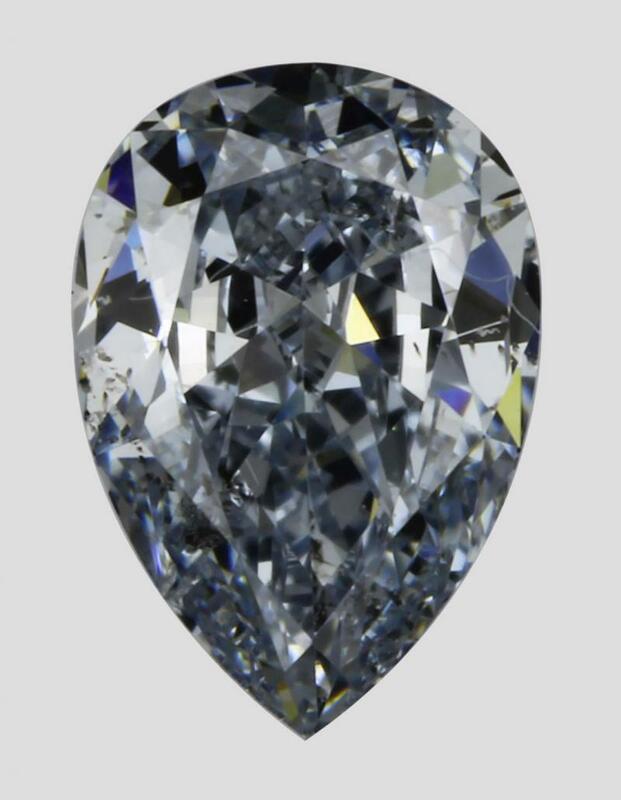 A unique special Natural Chameleon Color Diamonds, The color of this diamond changes temporarily when gently heated or when left in darkness for a period of time. 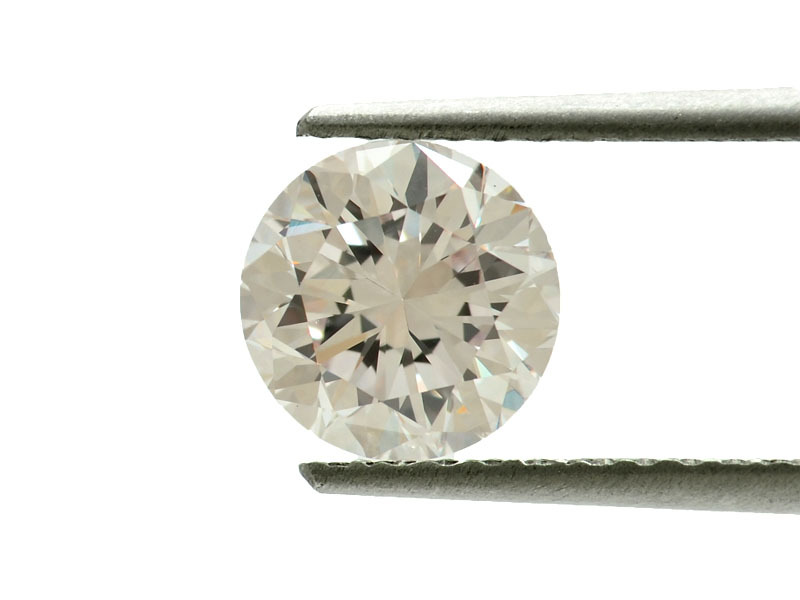 Cut Round, Sizes 0.10 to 0.20ct, Clarity: SI1, 5.00carat parcel, Please email for enquiry. NATURAL FANCY LIGHT PINK DIAMOND RING 14K YELLOW GOLD, 8GRAM GOLD, PINK DIAMONDS SIZE 0.01 ( 1.3MM ) ( 1.00CTW ), Diamond Clarity SI1, Please email for enquiry. A fine quality Natural Fancy Grey Blue Diamond, weight 0.53ct, Round Brilliant, Please email for enquiry. A beautiful sparkle with rich fancy colors lot 9 diamonds Pear Shape Light Pinks, Purple Pear Pink, Pear Deep Orange, Marquise Intense Yellow, Deep Green Round & Pear Diamonds Weight 0.18 - 0.22ct, please you can choose also any diamond from those diamonds. Please email for enquiry. Nartural Fancy Vivid Blue Diamond, 0.53ct, Marquise Shape, SI1 Clarity Please email for enquiry. 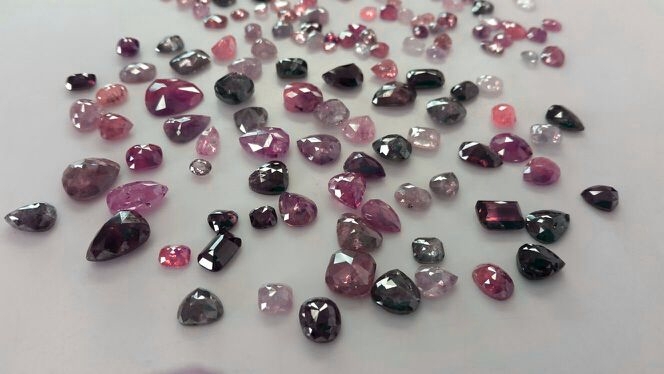 Natural Fancy Multi Color Melee Diamonds - Parcel 12CTW, Natural Color Strong color, strong pink, strong red, green, gray, princess pink, Round and Fancy shapes, Please email for enquiry. 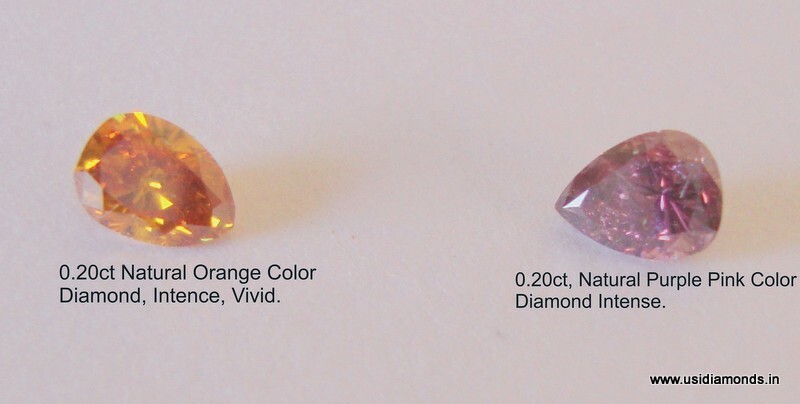 Matching pair Marquise Shape of Natural Fancy Intense pink diamonds TDW 3.80CTW, Clarity SI1, Please email for price. 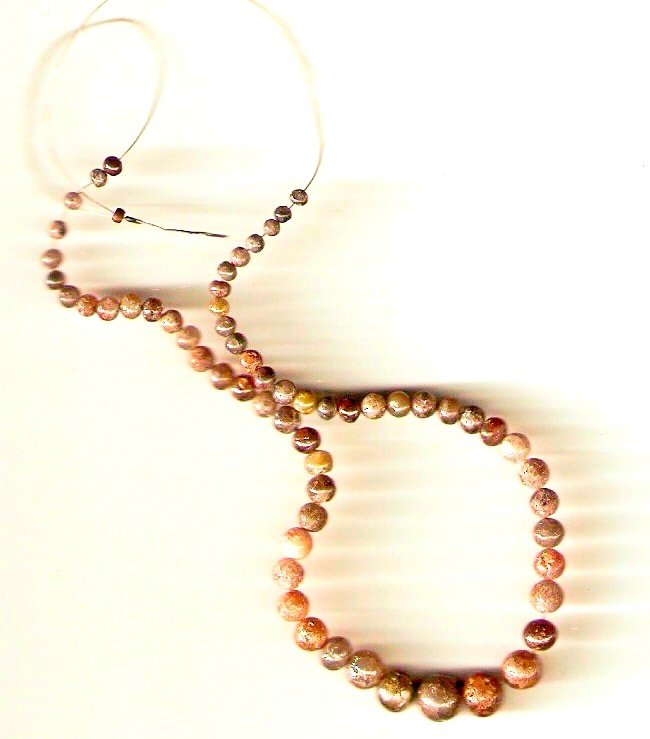 Smooth polish round colors diamond beads string, Size 3mm to 5mm, TDW 30 Ct, Please email for price. Natural Fancy deep Green Diamonds - Fancy shapes, Size 0.10ct , SI Clarity, Please emai for enquiry. Beautiful Natural fancy light Bluish Diamonds round cut clarity SI1 weight 0.01ct, Total parcel weight 11carat, please email for enquiry. Matching pare of Natural Australian Fancy Medium Light Pink Diamonds beautiful sparkle total weight 3CTW 26 Diamonds ( size from 0.10 to 0.20ct ), Please email for enquiry. 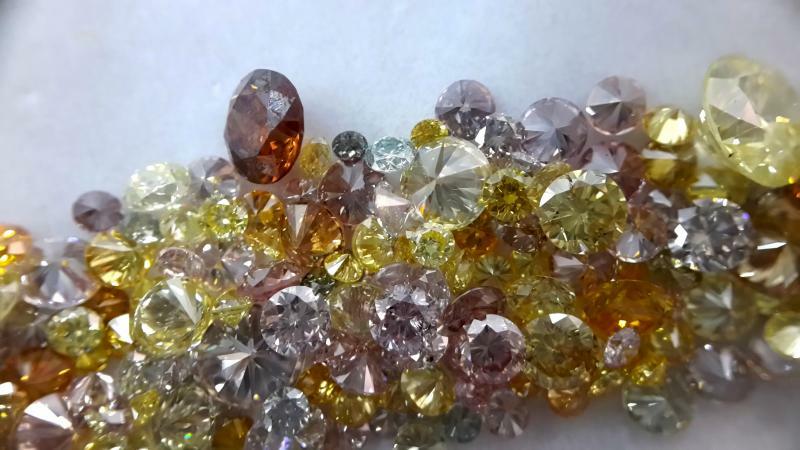 Natural Fancy color lot ( Australian Fancy Pink Diamonds & Pure Intense Orange ) diamonds weight ( 0.10 - 0.40 ) Totaling weight 37CTW Price in US$ please avialable wholesale parcel lot, and can choose your color and send email with choose your color diamond. Please email for enquiry. Natural Fancy Intense Purple Pink Diamonds 13 Stone, Size from 0.10 to 0.18ct, Shapes: Pear, Cushion, Oval, Asscher cuts, Clarity SI, Total diamond weight 3.00 ct, Please e-mail for price. Fancy Colors Diamond Briolettes cut's, Size 0.20 to 0.50ct, Total 35 Stones, Please meail for enquiry. 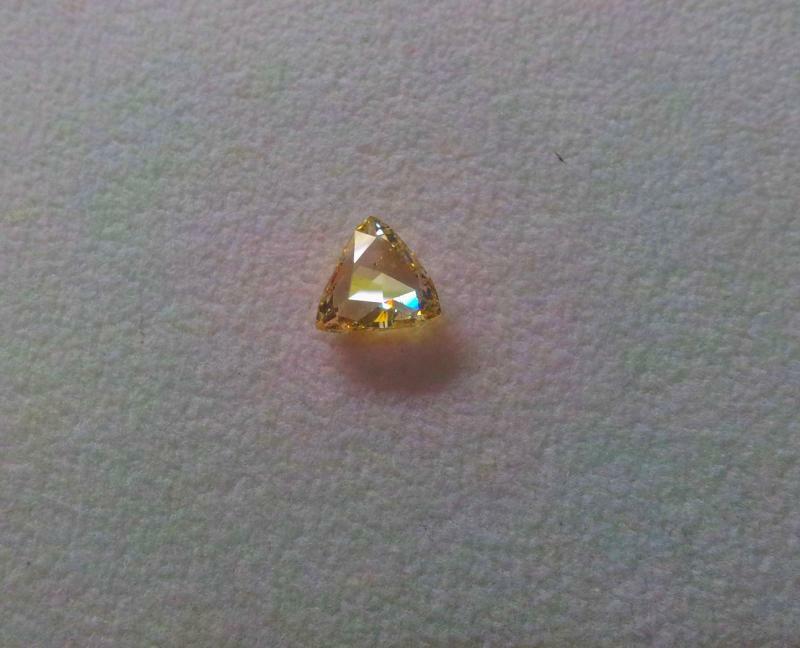 Trillion Shape Natural Fancy Yellow Diamond, SI1 Clarity, Carat 1.75ct, Please email for enquiry. Bullet Shape diamond, Natural white Fancy Grey color diamond, Diamond weight 100carat, please email for price. 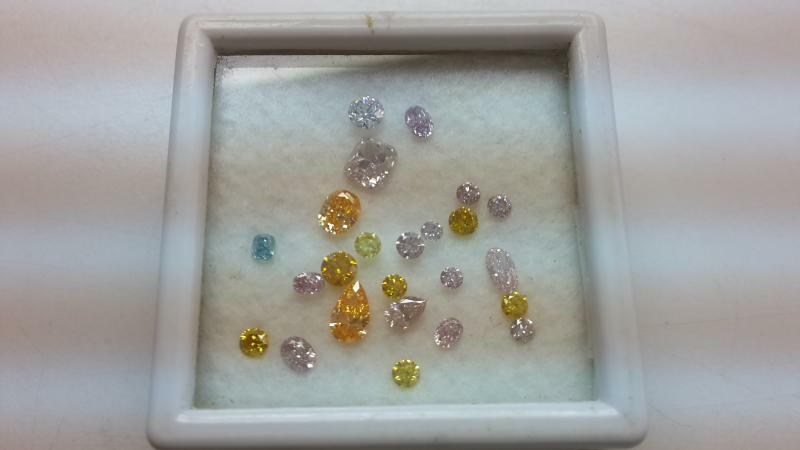 Fancy colors rose cut diamonds parcel, blue-pink-yellow - etc, size 1mm to 2mm round. Please email for price. 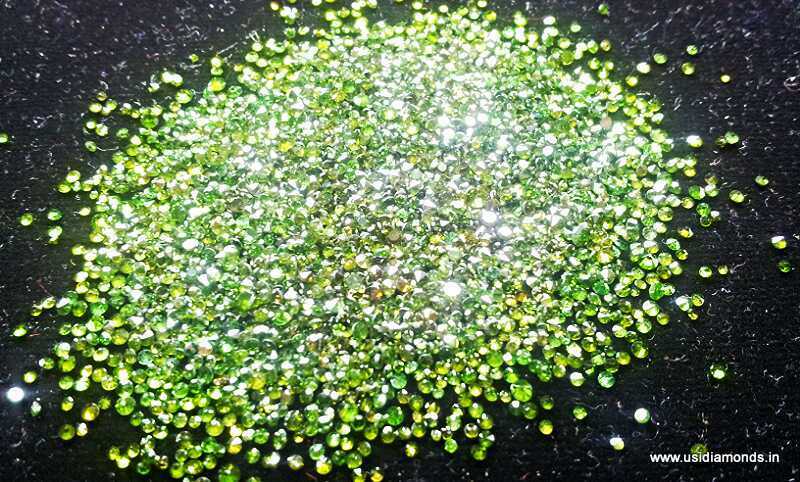 Green Diamonds Melee, Round Brillianr cut. Diamond quality eye clean. 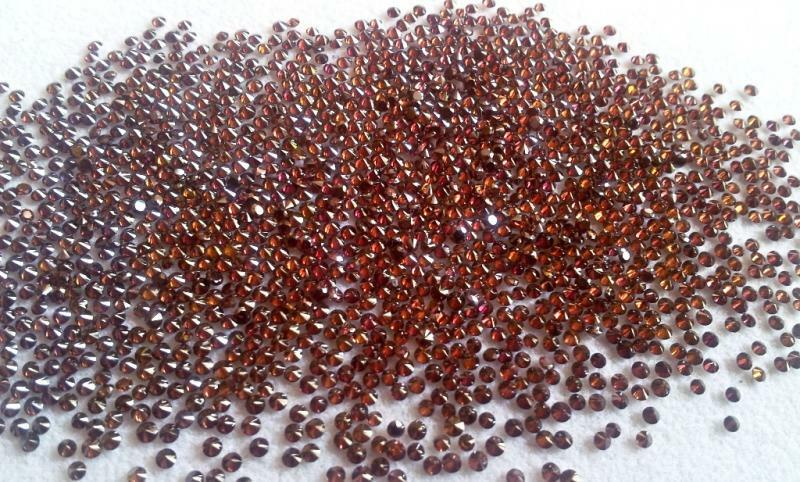 Reddish Cognac Color Diamonds in Round Size 0.01 - 0.02, Please email for price. 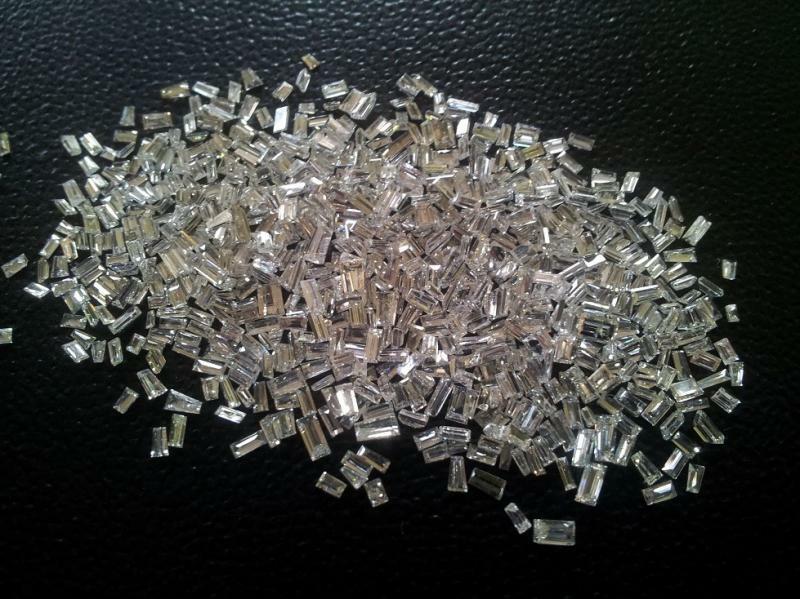 White Diamond Baguettes Diamonds, Clarity G SI-VS, Please email for enquiry. 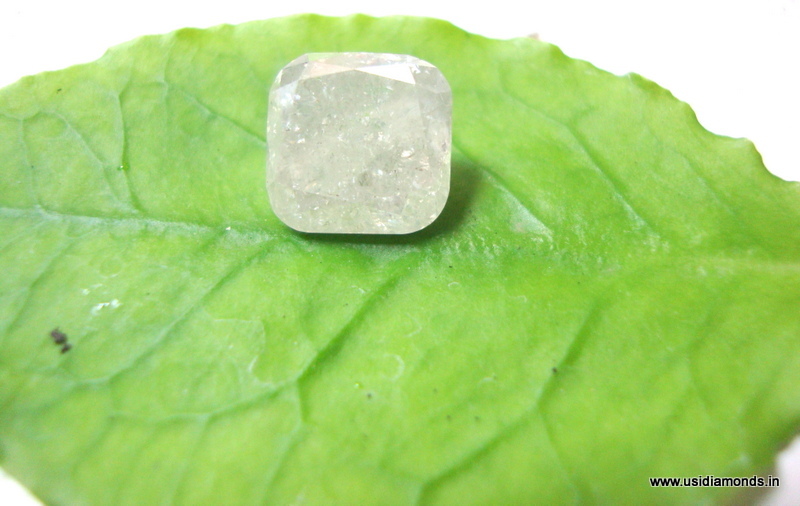 Fancy Rose Cut diamonds lot 25ct, F G VS-SI Parcel, Size 0.20to 0.60ct, very nice parcel, please e-mail for more details. 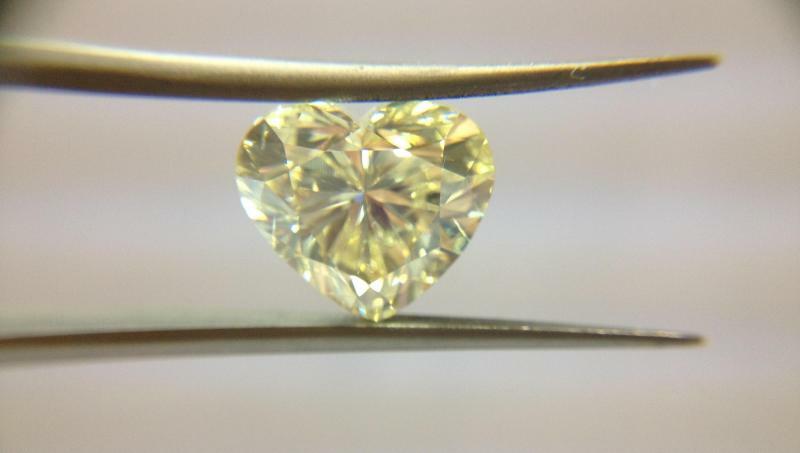 Very beautiful diamond, 0.62ct, Natural Light Greenish Diamond, Heart Shape. SI1 Clarity, Please e-mail for price. 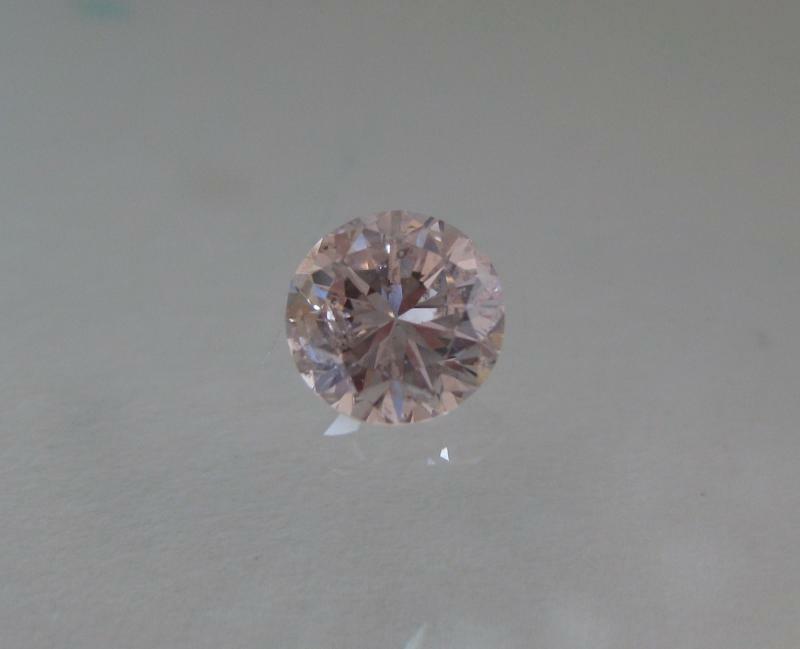 1.49carat,Natural Fancy Light Pink Diamond, Round brilliant cut, VS1 Clarity, please email for enquiry. Mix Natural fancy color diamond parcel, yellow round, princess pink, blue and marquise diamond TDW: 3.00 Ct. Please e-mail for enquiry. Natural Intense orange color diamond, weight 0.20Ct., Pear Shape. SI1 Clarity, Pl. email for price. White Natural Fancy Gray Diamond Cushion Shape, Weight 4.00carat, Pl. email for price. 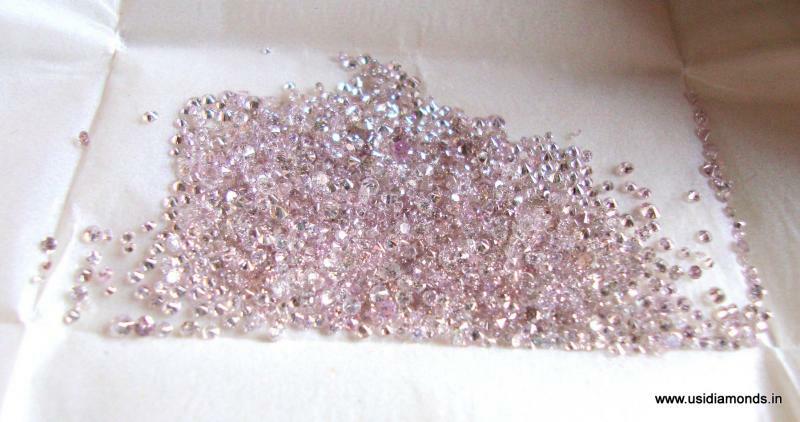 Natural Fancy Pink Diamonds Melee, 0.01 to 0.02 size, ( 20ct Lot ), Round Brilliance cut, Clarity SI, Please email for price. 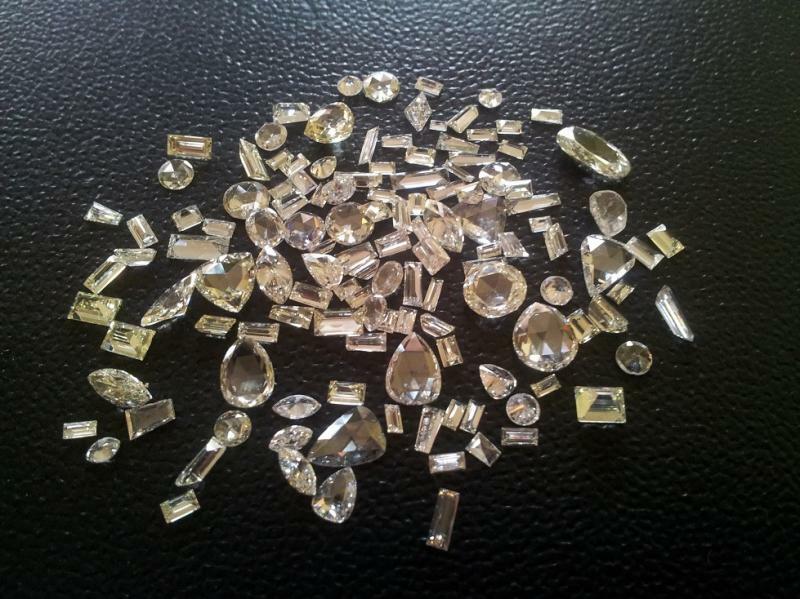 White Diamonds D to F VVS 8CTW, Melee Diamonds, Round, Ex Cut Polish, Please email for price. 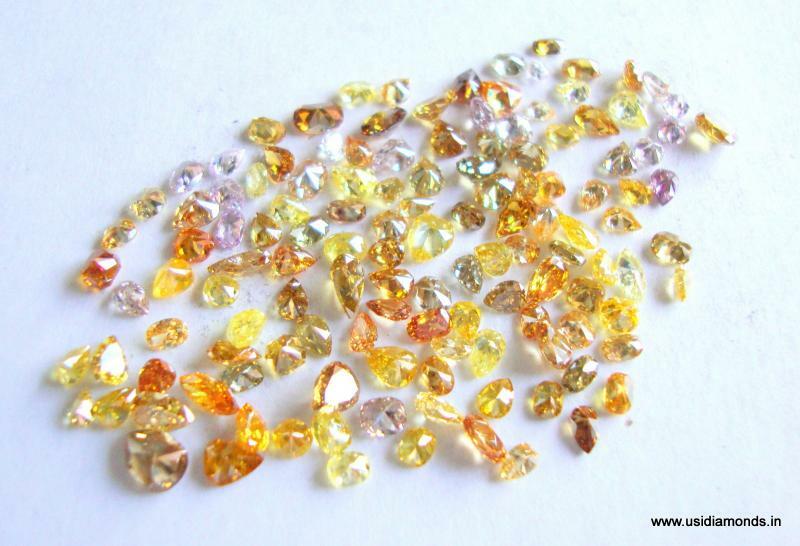 Natural Fancy Vivid Yellow Diamonds, 1mm-2mm, 8.61carat parcel, Round Brilliant Cut, Please email for price. Natural Fancy pink diamond parcel, Melee Sizes, 20CTW Lot, Clarity SI Eye clean, Please email for please email for price. White diamonds 39Crt Parcel, Size 0.10+ to 0.40ct, G-H / I1, Please email for price. 2 Diamonds ( 2.05ct + 1.46 ) G-H / SI, Round Brillinat Please email for price. Natural Fancy Light Blue Diamond, Round Brilliant Cut, Size 0.53 ct, Image Available, Please email for price. 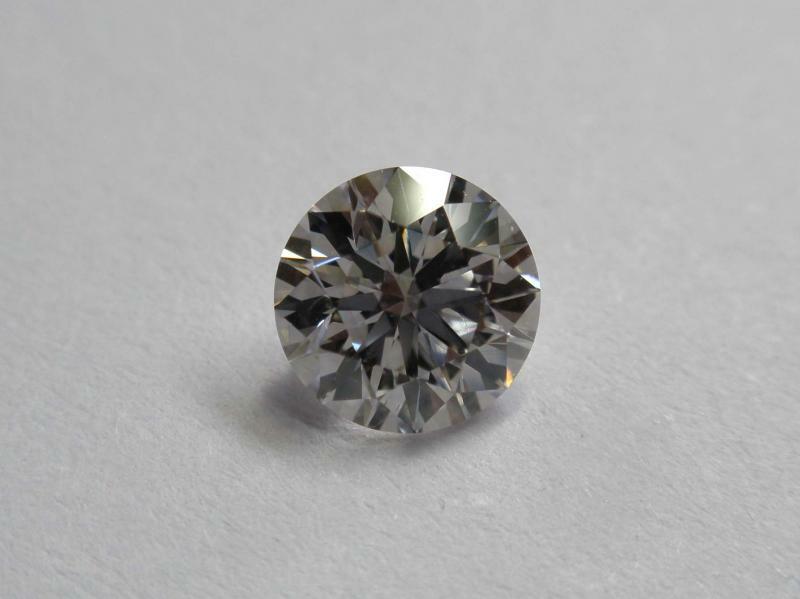 5.09ct, Round Brilliant Cut Diamond, H I1, Please email for price. 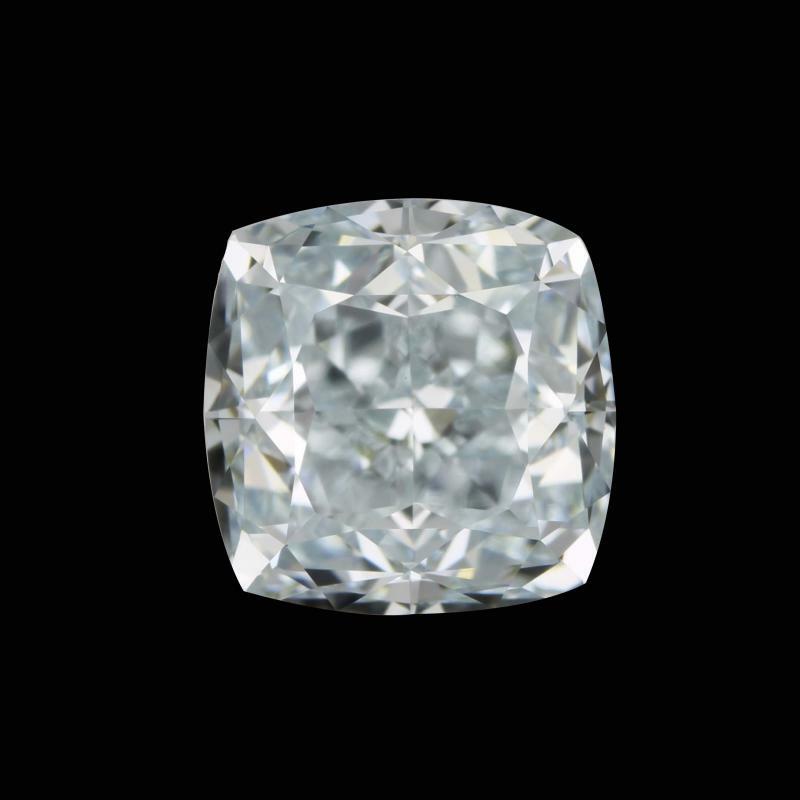 6.25ct, Round Brilliant Cut Diamond, H, I1, Please email for price. 36carat, One Piece Black Diamond, Round Brilliant Cut. cutting polsihing very good., Image Available, Please email for price. 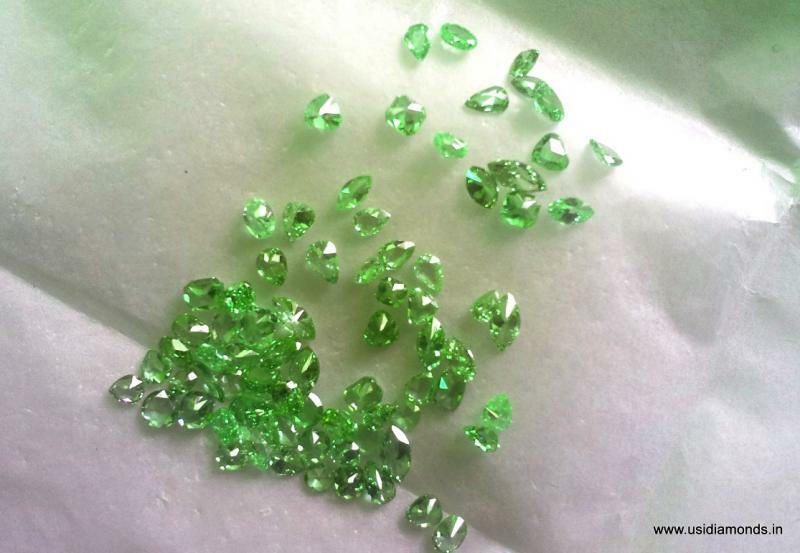 Natural Colombian Emerald 100CTW parcel, Round & Fancy Shapes all, Size 0.50 to 2Crt, Please email for price. 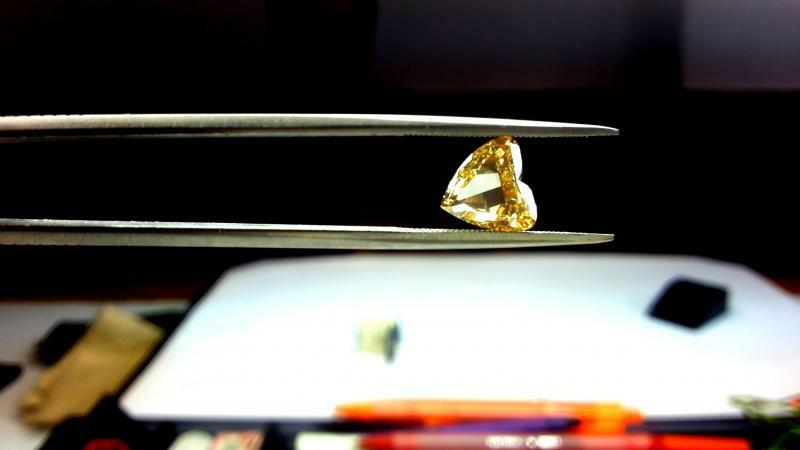 Natural Fancy Vivid Yellow Diamonds Round Brilliant Cut 4-pcs, Clarity VS1, weight of 1.50CTW please email for price. 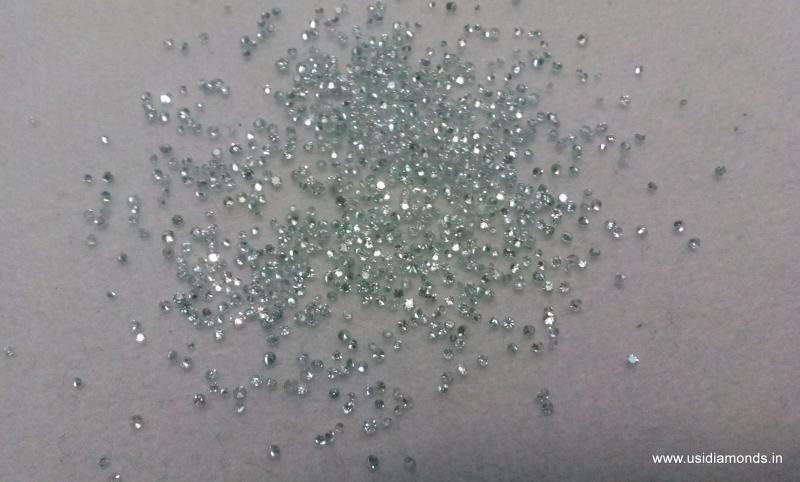 Natural Fancy Light Blue Diamonds Melee Sizes, TDW9.00ct, Round Brilliant Cut Please email for price. ARGYLE Pink Diamond, Color Natural Fancy Light pink diamond, melee pink size, 18CTW Lot, Clarity SI Eye Clean, Please email for price. Natural Pink & White Diamond Mix parcel 5.00crt, Melee Size, SI1, Please email for price. Natural Blue Diamond Heart Shape 2 Diamond, One Diamond crt .40, Please email for price. 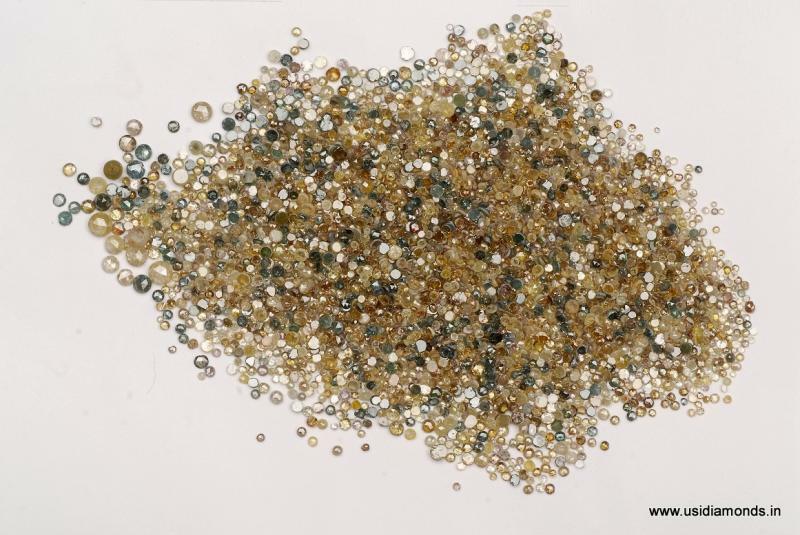 10.00 ct Fancy Color Diamond Parcel Mix SI-I 3-1mm, Please email for price. 21.00 ct Red Cherry Diamond Parcel SI .03ct., Please email for price. 4.00 ct Sky Blue Diamond Parcel SI .01 ct, Pleae email for price. 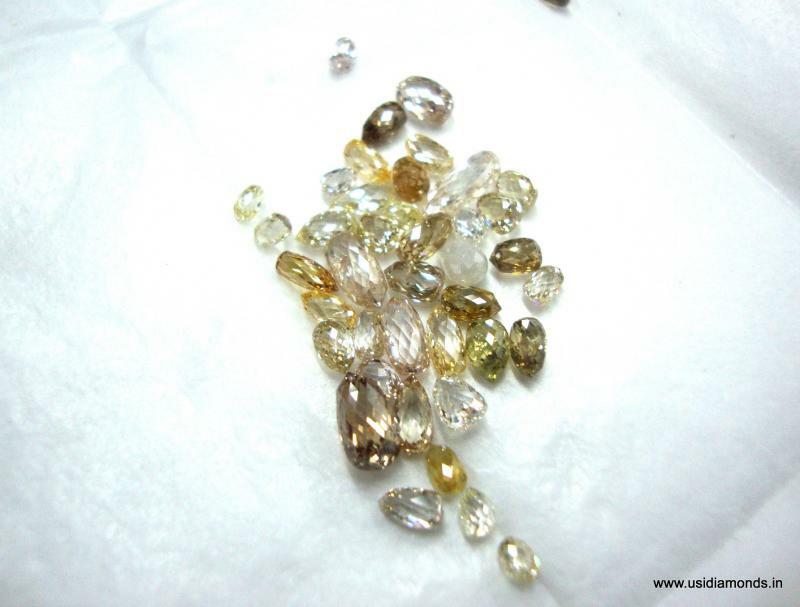 5.00 ct Vivid Yellow Diamond Parcel VS 3.5mm (22), Please email for price. 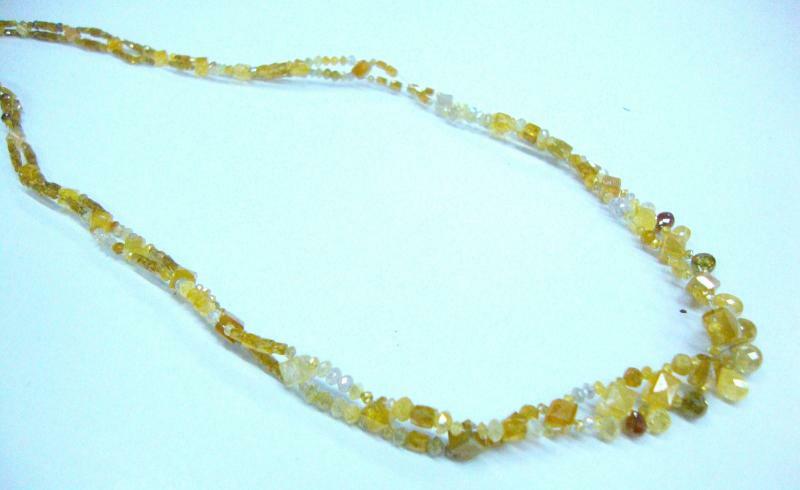 8.61 Ct Vivid Yellow Diamonds parcel size Melee, PLEASE EMAIL FOR PRICE. 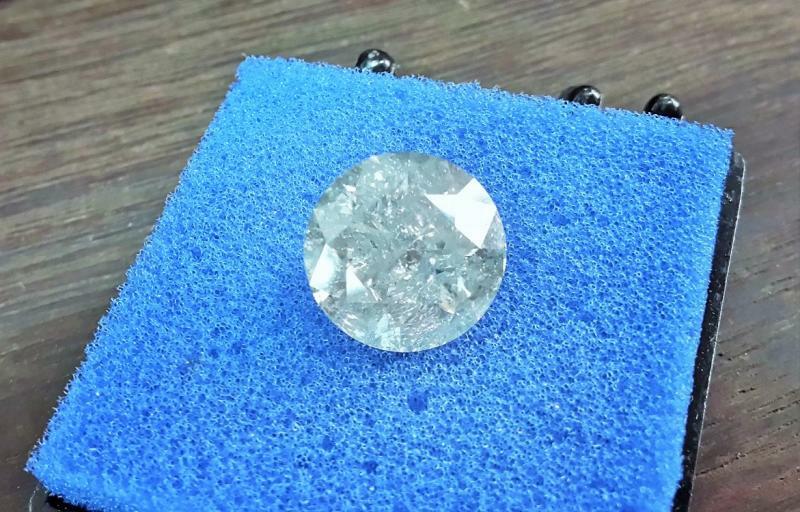 1.00CTW Natural Fancy Sky Blue Diamond SI-1 vg 0.01ct Round Brilliant, PLEASE EMAIL FOR PRICE. 100CTW Black Diamond Parcel, Round Brilliant, Melee Size, Surface Clean, Please email for price. 20CTW Rose Cut Shape Black Diamond, 3mm size, Round Shape, PLEASE EMAIL FOR PRICE. 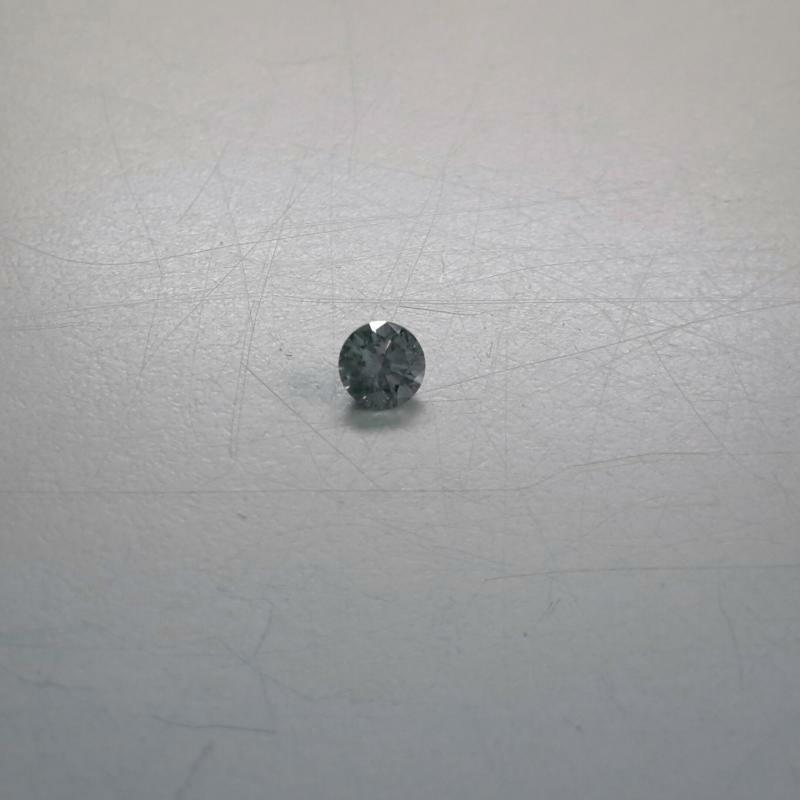 1mm - 2mm Rose Cut Shape Black Diamond, Round Td 50.00 Carat, PLEASE EMAIL FOR PRICE. 11.00CTW Forest, Apple, Olive Green Diamond Melee Size, SI Clarity, PLEASE EMAIL FOR PRICE. 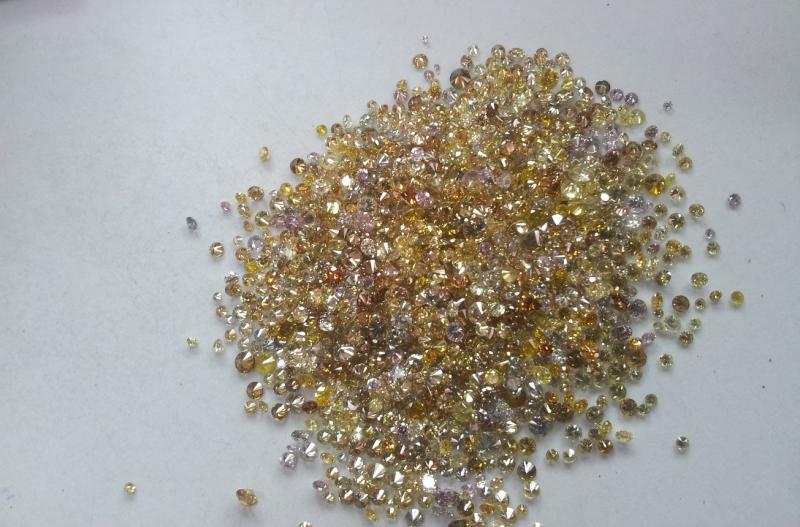 3.00 ct Fancy Color Diamond Parcel Mix VS-SI 2-3mm pr, rd, PLEASE EMAIL FOR PRICE. 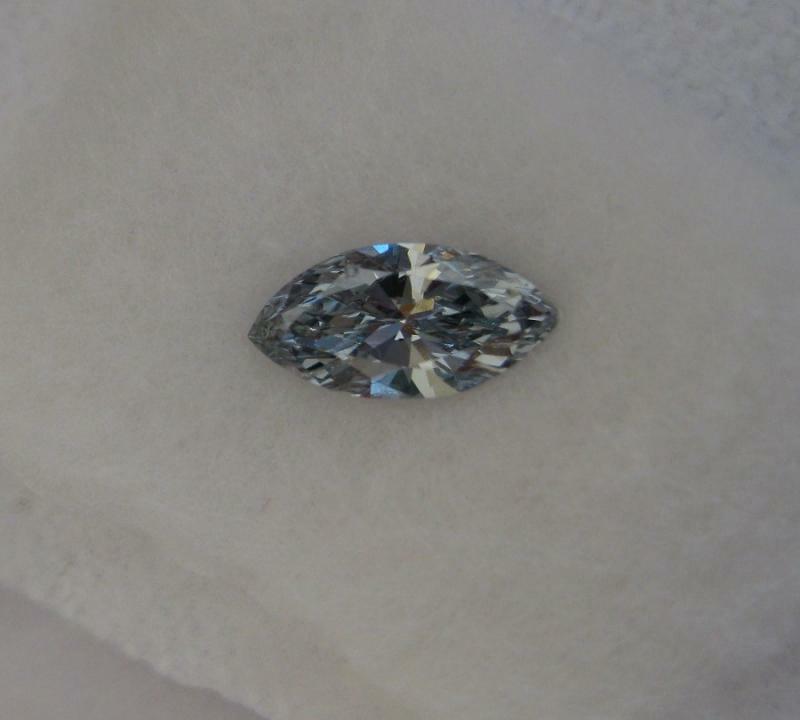 8.00CTW Light Brown Diamond Parcel, Clarity SI Eye Clean, .05 -.10ct PLEASE EMAIL FOR PRICE. 2.00ct Lot of natural intense blue diamonds, 0.01, Round., Please email for price. 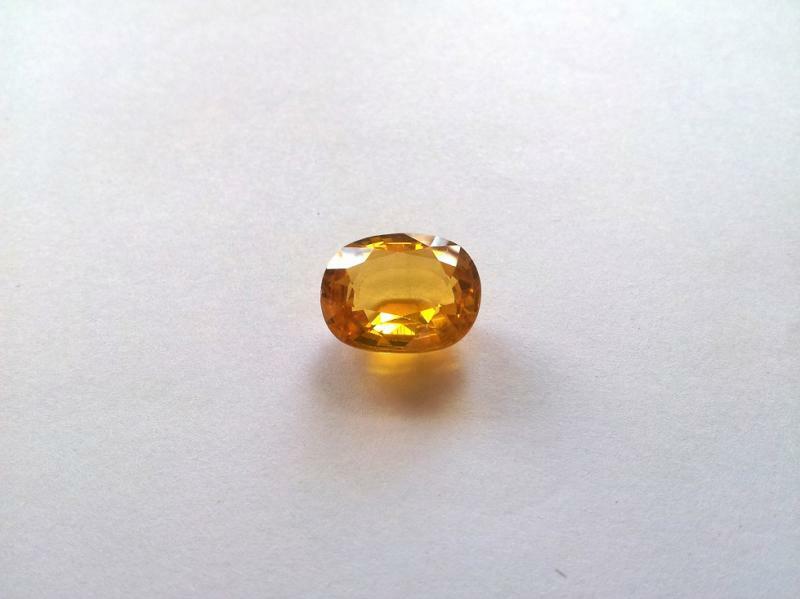 0.15CT NATURAL GOLDEN YELLOW DIAMOND, CUSHION SHAPE. 0.25CT, NATURAL FAINT BLUE DIAMOND, ROUND BRILLIANT. 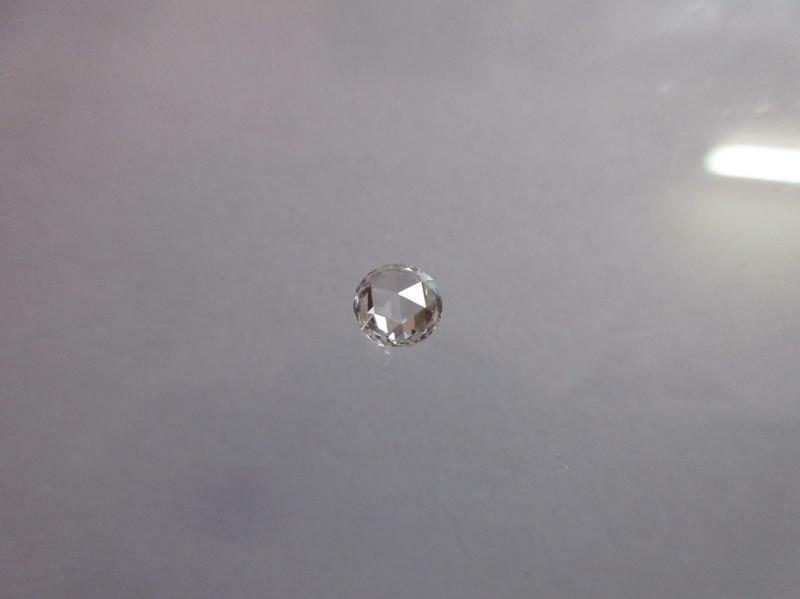 1.00CT NATURAL FANCY WHITE DIAMOND, ROUND BRILLIANT, PLEASE EMAIL FOR PRICE. 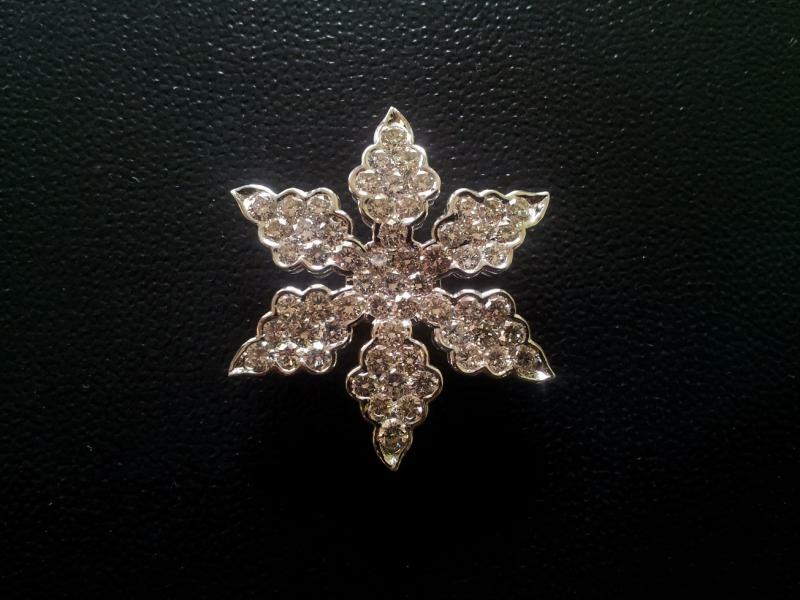 0.50CT NATURAL FANCY WHITE DIAMOND, FANCY SHAPE., PLEASE EMAIL FOR PRICE. 0.70CT NATURAL CHAMPAGNE COLOR DIAMOND, VS Clarity ROUND BRILLIANT., PLEASE EMAIL FOR PRICE. 0.50CT NATURAL Reddish COLOR DIAMOND, ROUND BRILLIANT CUT., PLEASE EMAIL FOR PRICE. 8.50 Ct., Light blue diamond parcel, size melee, Price..
1.00ct, Heart Shape Black Diamond, Cutting Polishing very good. 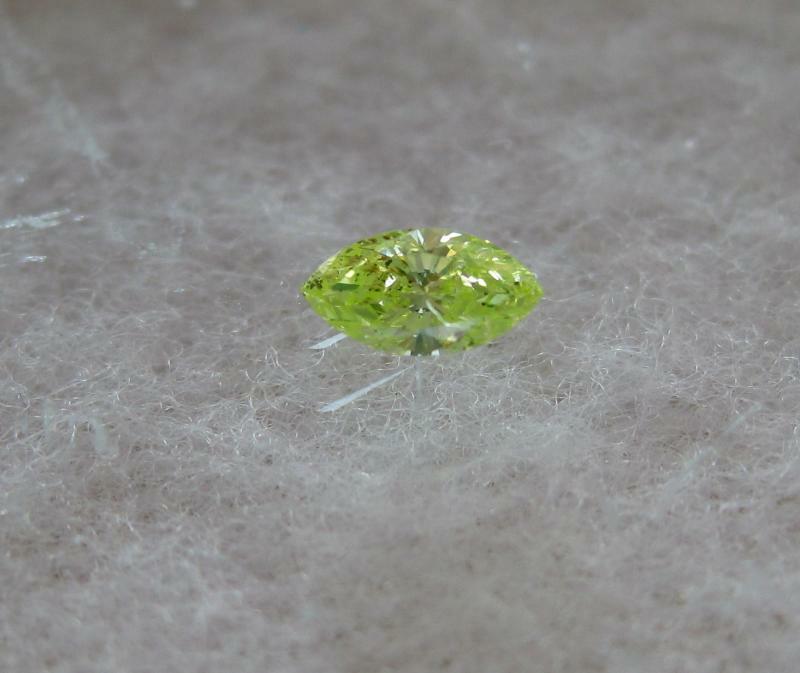 0.52ct, Natural Chameleon Diamonds, Round Brilliant, SI Clarity, PLEASE EMAIL FOR PRICE. 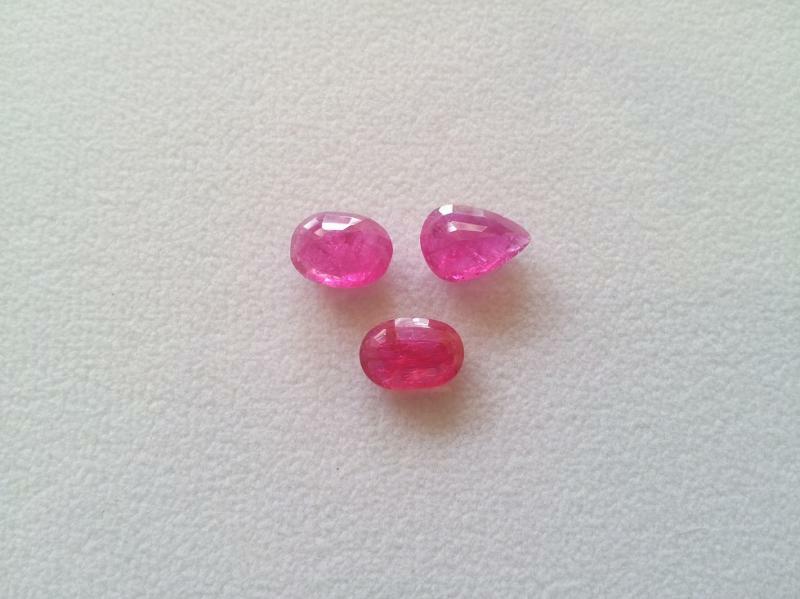 30CTW Lot, Argyle Pink Color Natural Fancy Light Pink Diamond Melee Size, Round Brilliant, Please email for price. 11.65Ct, Natural Emerald Gemstones, Oval Shape, PLEASE EMAIL FOR PRICE. If you have any particular request in diamonds & colored gemstones any size, shapes & carat please write us e-mail or phone with mention stone size, color, clarity & cut we reply back to you asap with our best work. We are not offering very high prices of our natural color diamonds, we offering best wholesale prices for all nautral color diamonds. internationally recognized specialist and online dealer of natural fancy colored diamonds and colored diamond jewelry manufacturer. Pink Diamonds are among the most sought after fancy color diamonds in the world. Browse our collection of Pink Diamonds ranging from Light and Fancy Pink to Intense and Vivid Pink Diamonds. Fancy color diamond beads necklace. 0,13carat, natural fancy intense green diamond, marquise cut, GIA Cert. 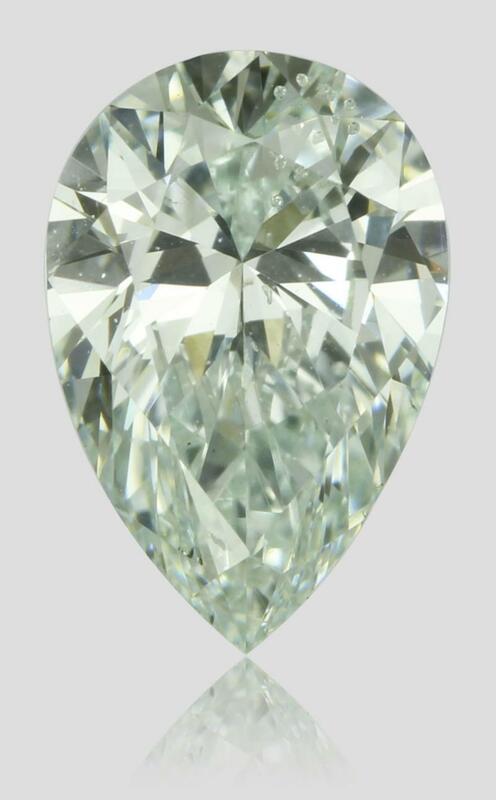 Natural fancy light bluish green diamond, 0.50ct, SI2 Clarity pear shape, GIA Cert. 1.04carat, natural color light orangy pink diamond, round brilliant cut - GIA. 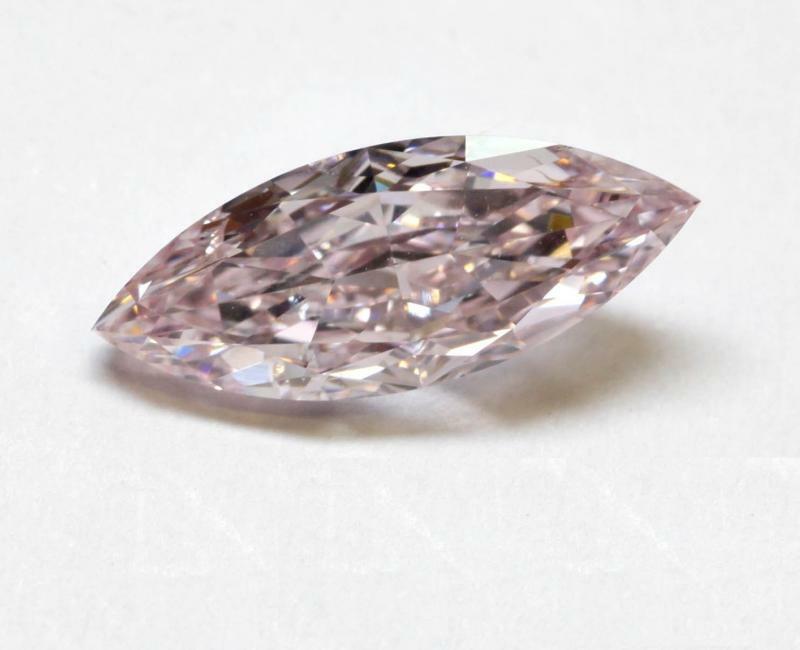 1.05carat natural fancy brownish pink diamond, pear cut, - GIA. Round Brilliant Cut, Natural Fancy Light Pink Diamond, 1.08ct, GIA. 1.01ct, natural fancy greenish blue diamond, cushion cut, GIA. 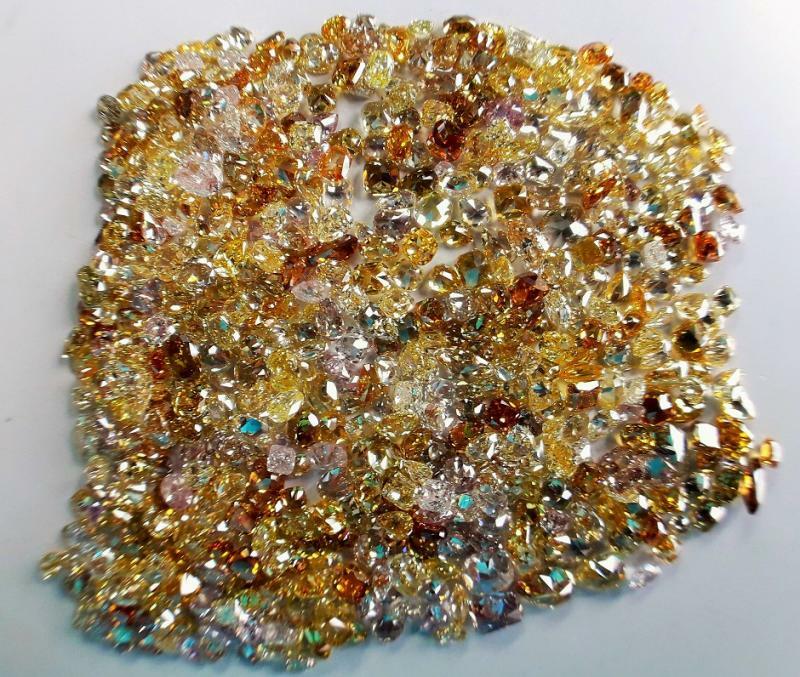 mix indian fancy color diamond parcel mele size pink diamond, blue diamond, yellow diamond, star - mele fancy color diamonds parcel. 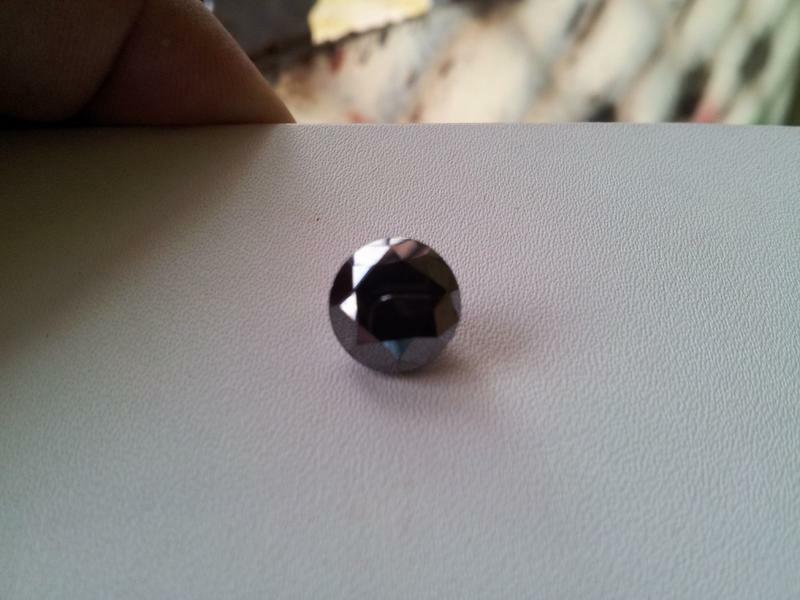 4.02carat indian black diamond , ex cutting & polishing , round brilliant cut. for sale. 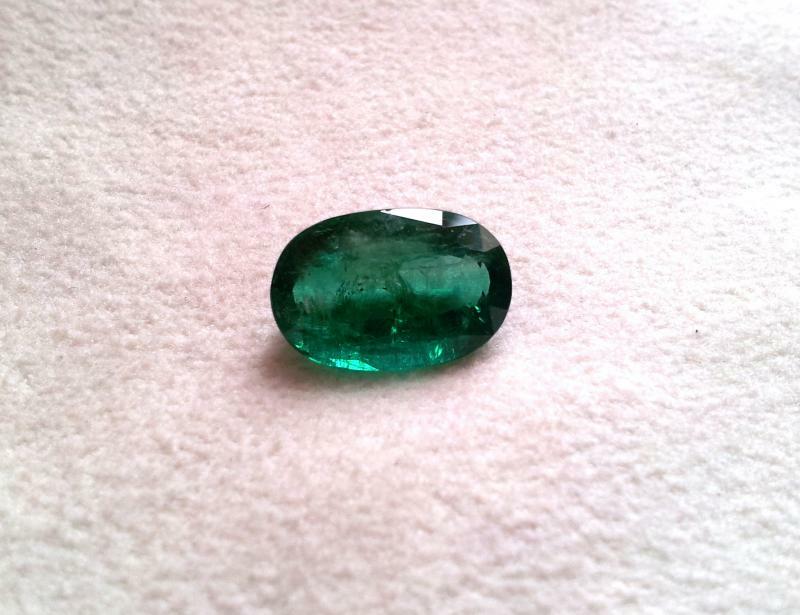 11.68carat colombian emerald, oval shape. for sale. cylon yellow sapphire 8.50ct, oval shape, clarity eye clean. Cylon yellow sapphire , 8.50carat, oval shape, ex cutting and polishing. 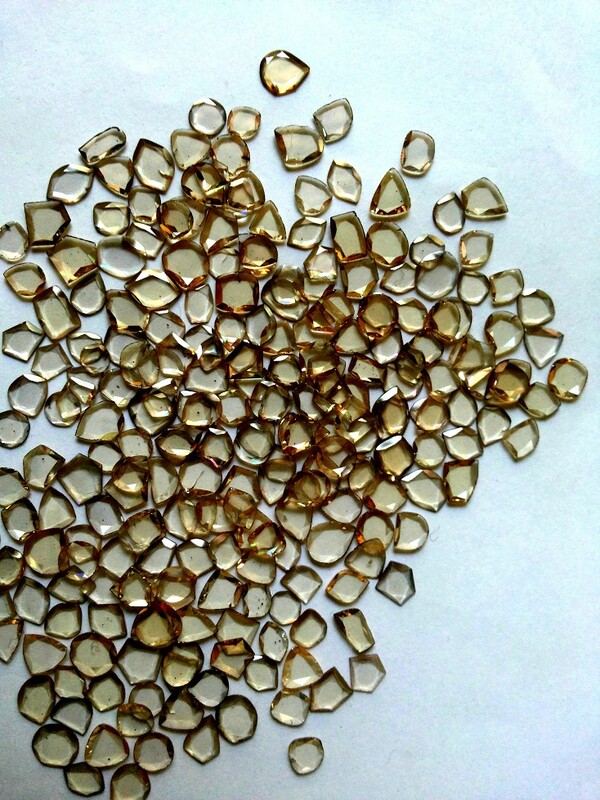 Indian diamond polki parcel, ( Brown color diamond polki ) mix size diamond polki. 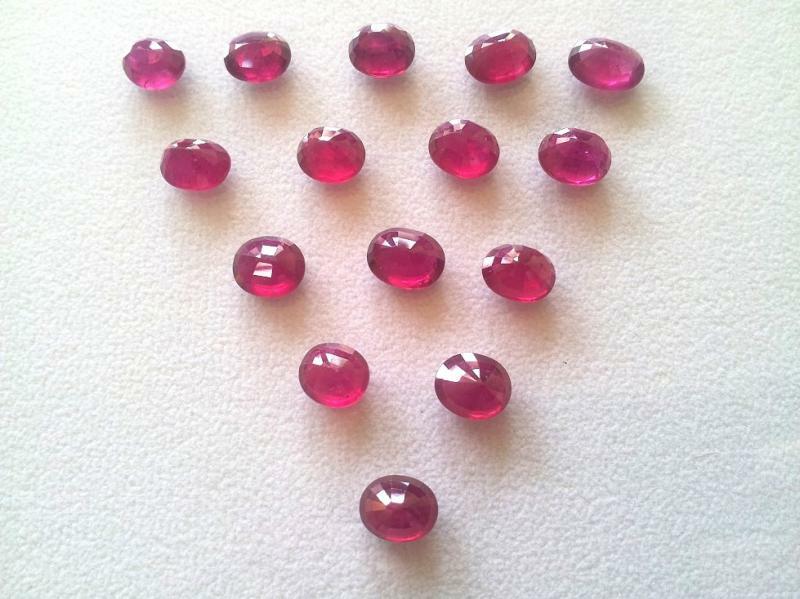 natural burmese ruby - each stone size 3carat faceted. 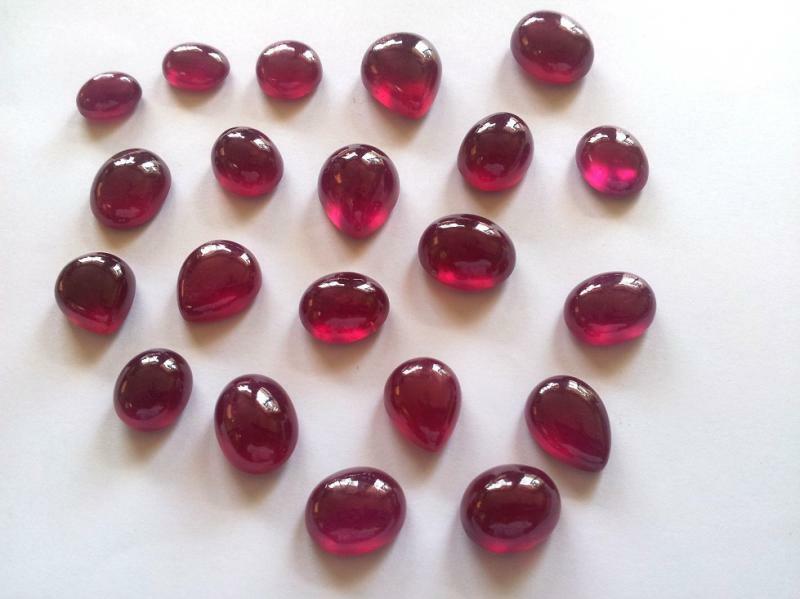 Treated Burma Rubies, All facted, Each Size 0.20carat. Treated Plane Ruby, Size 0,40 to 0,50carat, 400carat parcel.